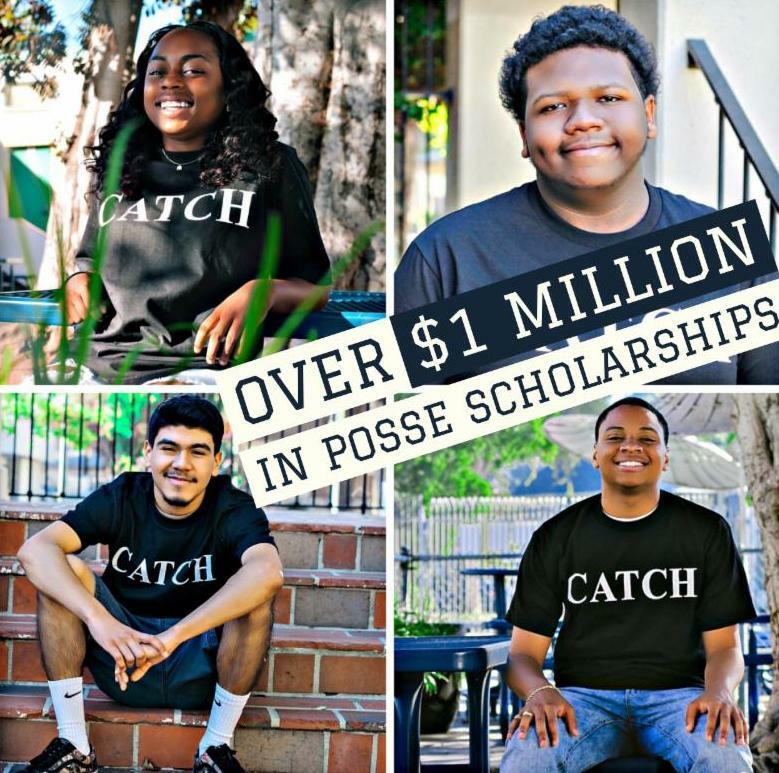 Congratulations to CATCH Prep Seniors Alanna Williams-Moore, Cameron Miguel, John Caceres, and Zy’Ere Hollis for being named Posse Scholars and earning four-year, full-tuition scholarships to some of the nation’s top universities in the fall. Alanna plans to attend Dickinson College in Carlisle Pennsylvania, Cameron plans to attend Hobart and William Smith College in Geneva, New York, John will be headed to Pepperdine in Malibu, California, and Zy'Ere is off to Kalamazoo College in Kalamazoo, Michigan. The Posse Foundation awards scholarships to students who show academic and leadership potential. The application process begins with a nomination by someone at the student’s high school or a community-based organization in which they are involved. Once accepted, scholars are placed at a Posse partner college or university in a supportive, multicultural team — or “posse” — of nine others. Williams-Moore, who plans to explore biology as her major, hopes to develop new cures for diseases that will help humans to live longer, more healthy lives. Hollis, who will be majoring in Psychology looks to impact youth the way his mentors have inspired him growing up in South Los Angeles. “Cameron has developed a great balance between academic achievement and extra-curricular involvement. His innate abilities, as well as his solid, honest, trustworthy character guarantees he will excel and make a rich contribution to Hobart and Williams Smith,” Smith continued.